Description - Snap, crackle, pop! No, that's not Rice Krispies you hear that is the sound of typical hard plastic garage tiles when you walk or drive over them. Painful right? Well, live in pain no more with our Coin Flex Nitro Tiles in your garage or home. These flexible PVC tiles are the perfect alternative to the hard plastic tiles are commonly found in garages. These tiles are just as durable as the hard plastic tiles if not more durable and are quieter and warmer than their harder cousins. 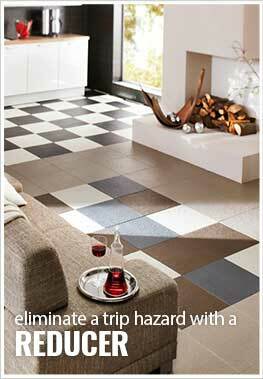 These tiles are very versatile and are great as garage flooring or as flooring in your home or business. Easy to clean and maintain, these tiles are resistant to most household and vehicle chemicals and are backed by a 15-year warranty. So bring peace and tranquility back to your garage or home with our Coin Flex Nitro Tiles! 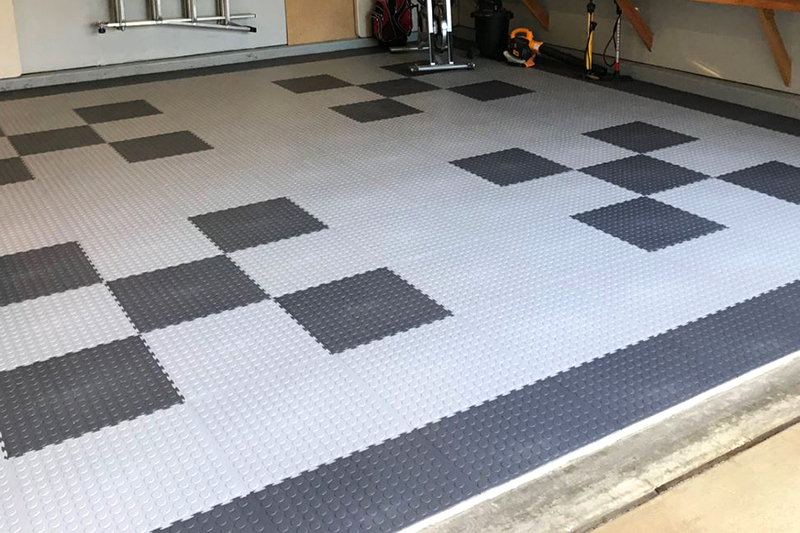 Material – Coin Flex Tiles are constructed entirely of a proprietary blend of flexible PVC that guarantees the most durable garage tile on the market. This custom PVC blend also ensures that the tiles are flexible and have the anti-fatigue flooring qualities often associated with rubber flooring but also the durability, long life, and chemical resistance associated with PVC tiles. New hidden interlock system. Will not interlock with orders before 4/5/19. What is the difference between the coin flex tile and the coin flex nitro tile? The main difference between the Coin Flex Tiles and the Coin Flex Nitro Tiles is that the interlocking system is different. Other than that they are virtually the same product. 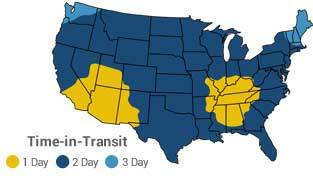 They are made from the same material, soft PVC, and are both resistant to staining, mold and mildew growth. Can you recommend a cleaner for the tiles. Also, I have tire marks (brownish color) on the gray tiles that I can't get out. Any suggestions. Although I love the gray tiles with the black tiles around the perimeter I think I should have gotten all black tiles because it hides the dirt and discolorations better. Depending on what is causing the staining determines what you will want to use to clean them. If tar is causing the staining, then we suggest using Purple Power which can be purchased at a local retail outlet. If the tires are causing the staining, then the only solution would be to replace the grey tiles where your tires are parked with black tiles. To find the appropriate solution for your staining, we recommend contacting one of our Flooring Heroes via phone, chat or email and they will be able to assist you with your needs. Can these tiles be glued down to concrete garage floor to prevent water from melting ice and snow seeping underneath tiles? Is there a better way to prevent this from happening? You can glue our Coin Flex Nitro Tiles to a concrete floor. This will prevent water from penetrating to the concrete below. Another thing you can do is seal the floor with our Rubber Floor Finish and Sealer. This wax-based sealer would help prevent liquids from getting between the cracks. If I spilled some oil, would it leak through on my concrete floor? How tight are those tiles to each other? Our Coin Flex Nitro Tiles interlock very tightly and keep water and other liquids from penetrating the subsurface. There is always potential for water and other liquids to penetrate the flooring surface at the crack if there is some separation, but under normal conditions, water and other liquids would not. I know on a garage floor cracks should be filled in but how about the expansions joints? Should they too be filled in so that the tiles don't flex and take the shape of the joints over time? You will not need to fill in the expansion joints when installing our Coin Flex Nitro Tiles. You will need to keep those unfilled so that your subfloor properly expands and contracts throughout the day.